I have an obsession…actually I have several, but I’m only sharing my most recent obsession in this post. 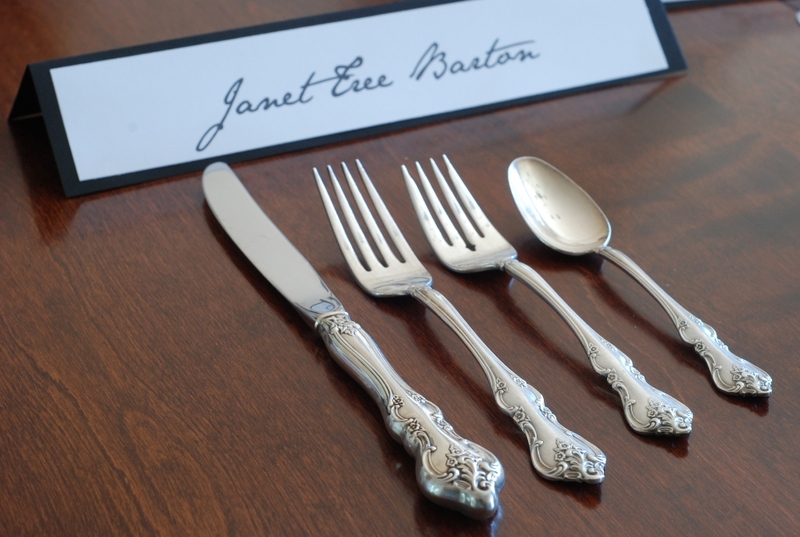 It all began with three odd pieces of silver-plated flatware tucked into a drawer of my china cabinet. 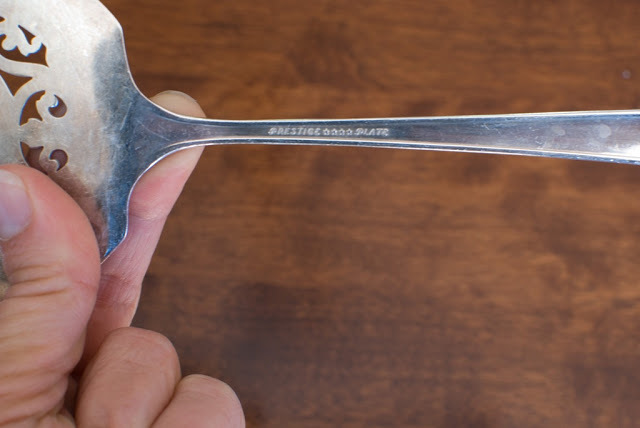 A tomato server, a spoon, and a fork. I was strolling through an antique store last summer looking for vintage dessert plates for my daughters wedding (that’s another story). While strolling through the isles of vintage collectibles, my eye caught a wooden silverware chest. I looked inside to see a set of silver that matched the spoon I had. I knew immediately that it was the same pattern that my mother had. I remember digging in the dirt with her spoons. I know you are gasping right now, but if she would have provided shovels, I would not have had the need to use her silver-plated flatware to dig. 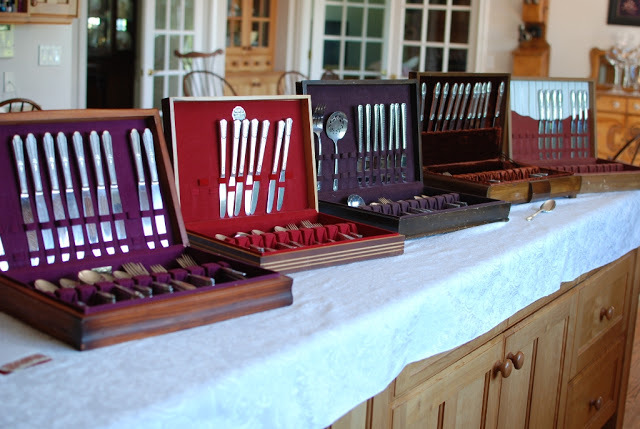 My mothers set of flatware is long gone by now. 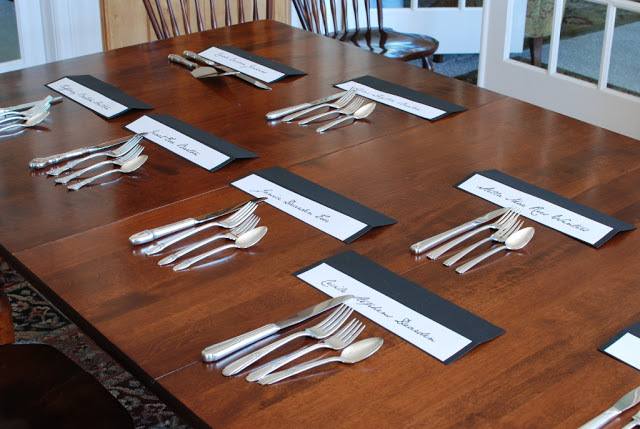 My first thought was that I HAD to have this set of flatware. For nostalgia’s sake. It was a piece of my past. The price was close to $300. I couldn’t spend that on flatware because I had to collect for Tiffany’s wedding. I went home and told my mother about my find. She told me that she remembered that old silver and that it was called “First Love”. That woman has one keen memory. I immediately went to Ebay and started a search for “First Love Silverplated Flatware”. Several sets appeared before my eyes. I overjoyed. I carefully checked each set and decided to place a bit on a 12 piece set. I won the bid. The day the set finally arrived in the mail was one of the greatest days. It was beautiful and a flood of memories came into my mind. Oh happy day. This was the beginning of my husbands nightmare. I ran to the china cabinet and started to go through every piece of silver that I had stowed away. I had a handful of odd pieces. I decided to start with my grandmother’s serving piece. I turned over the server and found the name of the pattern “Prestige”. 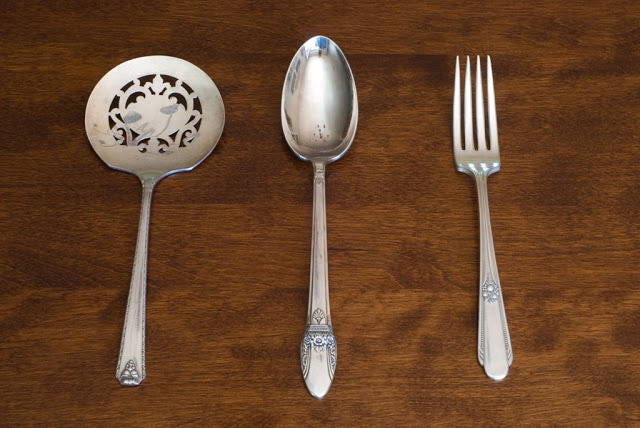 Ebay search…placed a bid…1 week later I had a full set of my grandmother’s pattern of silver-plated flatware. 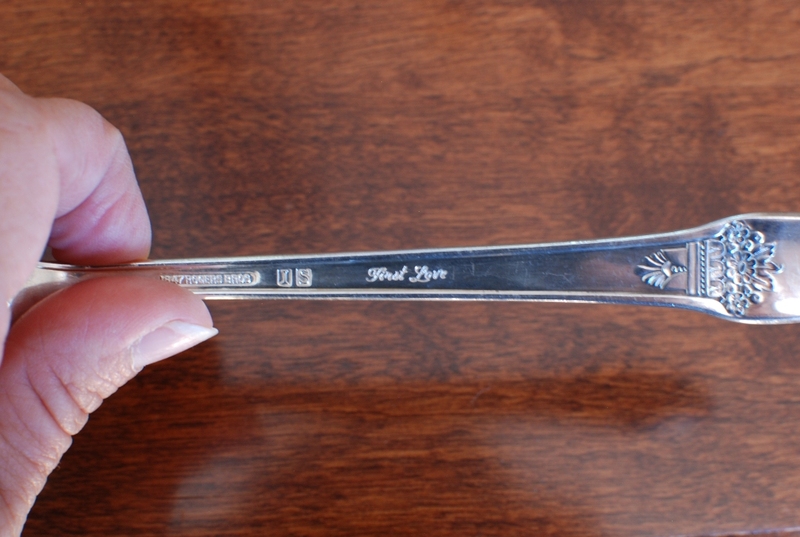 Next I found a handful of forks from my maternal grandmother. I went through the same process. 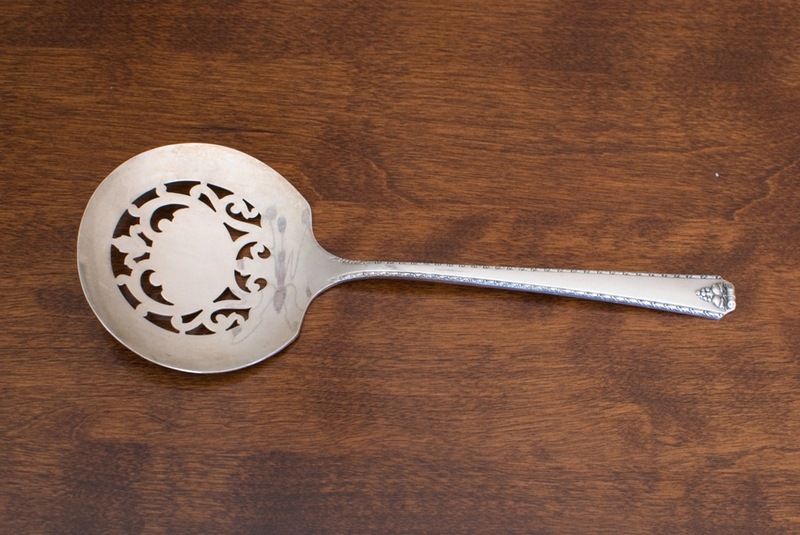 After a few months I had collected the exact silverplated flatware patterns that belonged to my mother and both of my grandmothers. My mother mentioned to my Aunt (father’s sister) what I had been doing. She mention that she happened to have the flatware of HER grandmother, which would be my great grandmother (born in the late 1800’s). I called her and asked her to send me a photo of the front and back of the flatware. All 5 of the sets that I had purchased came in their own wooden cases. The boxes were old and scratched. Some of them were pretty battered. Inside each chest was a treasure to me. A memory, a connection to woman that I loved and admired. I now had a piece of them. Even though these silver sets were not the actual sets that belonged to my grandmothers, they were their patterns. They had selected these particular patterns for a reason. They must have loved their pattern. Each unique just like they were. Each set that I purchased had been used. 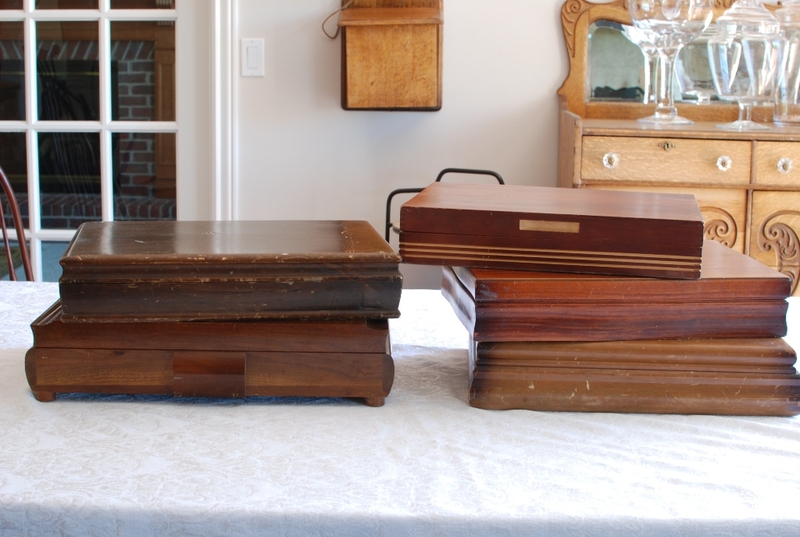 A few of the pieces in the boxes looked new, but most of them had tiny scratches and a little tarnishing. 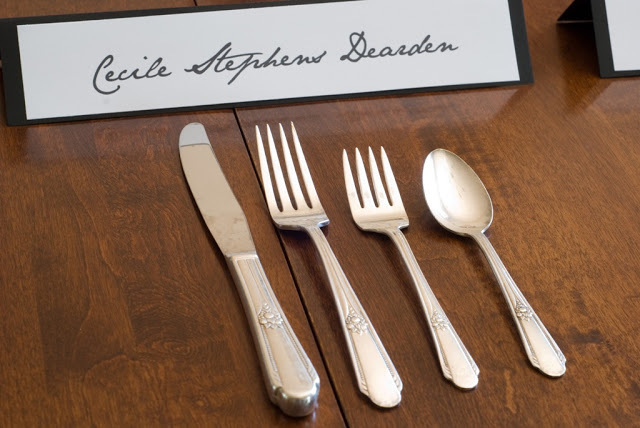 I wanted to use this silver and bring my ancestors to my dinner table. On Christmas Eve I set the table with my newly acquired treasures. 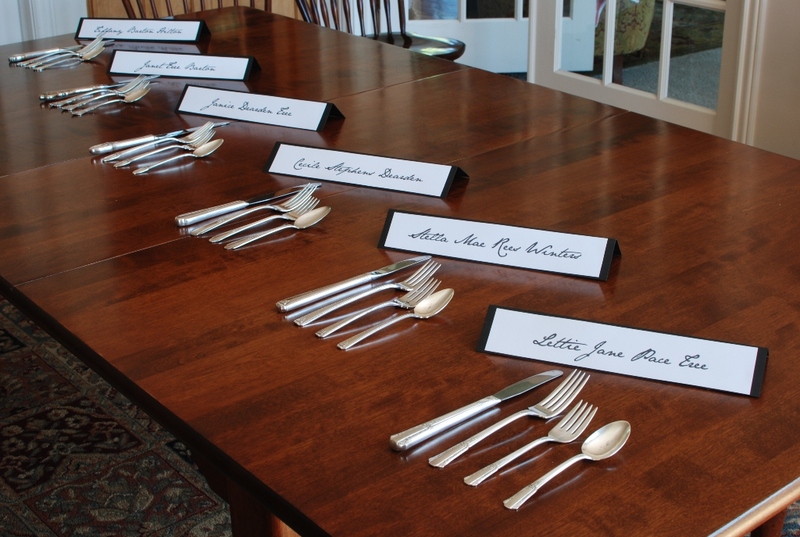 I had 6 different patterns of silver-plated flatware. Beginning with the silver that I had purchased for myself and tucked into my hope chest years ago. My table looked beautiful. I had brought my grandmothers to the table and their memories with each place setting. Most people complete pedigree charts, by filling in names and dates and places. I completed my pedigree chart with silver patterns. I take you through my 5 generations of silver. I found this vintage set for my daughter, Tiffany. 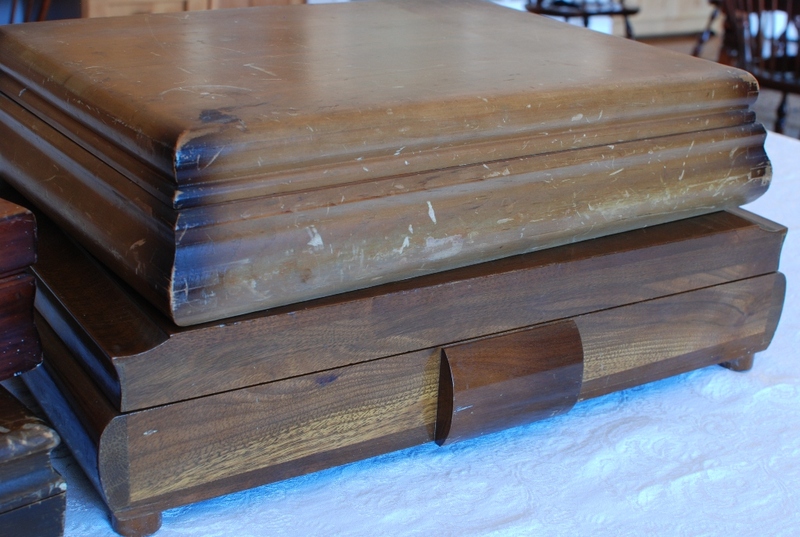 The set came with service for 12 along with serving pieces in a nice wood chest. The entire set, including shipping was under $35.00. 2nd Generation: Me. I purchased my silver from ZCMI while I was still in High School. Does anyone else miss the old ZCMI store other than me? How about that bakery and candy counter? 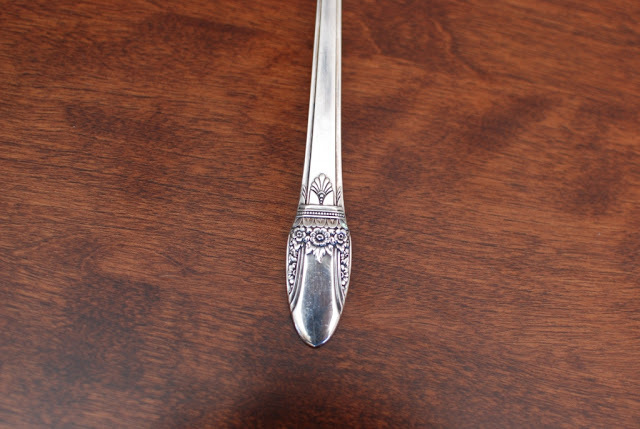 Janet: Pattern: “Orleans” from International Silver Co.
4th Generation: Maternal Great Grandmother to Tiffany. 4th Generation: Fraternal Great Grandmother to Tiffany. 5th Generation: Fraternal Great, great grandmother to Tiffany. I’m curious if any of my UK readers have run across my family name – Tree. Yes, my maiden name is Tree. My oldest daughter just named her baby girl Lettie Jane after this grandmother. 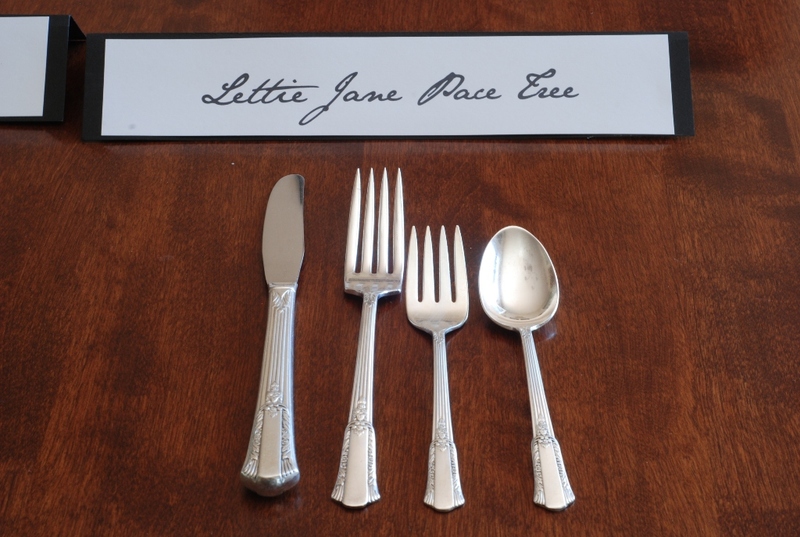 Lettie Jane Pace’s line connects us to royalty in England. Cool, huh? You can just get a glimpse of our silver pedigree with this photo. The collecting ended here. I had no more links to follow. My husband was thankful that the Ebay bidding had come to an end. That’s when I had a thought. I could start with the “Barton” line! 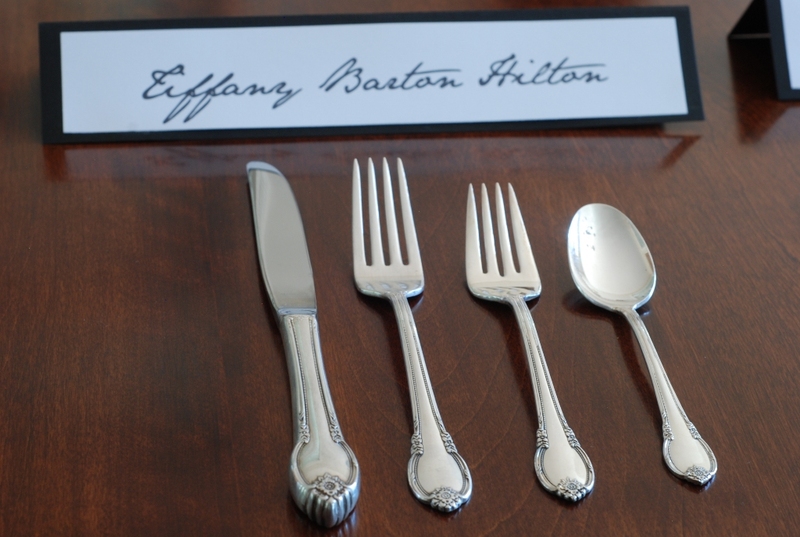 Tiffany’s fraternal grandmother has a beautiful set of silver. The problem was she was the only one that collected “sterling silver”. Oh my goodness a full set ranged in price from $3,000 – $5,000. Way over my $100 limit. 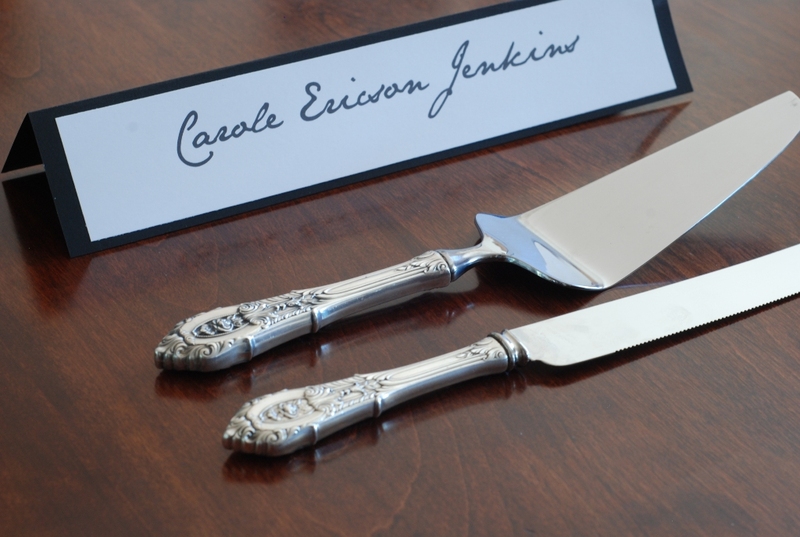 Tiffany and I decided to collect two serving pieces that she could use at her wedding to cut her cake. I think that it was only significant and meaningful to the two of us. It doesn’t matter. We had the connection of cutting a wedding cake with Grandma Jenkins. What a special moment. My husbands grandmother had passed away several years ago. 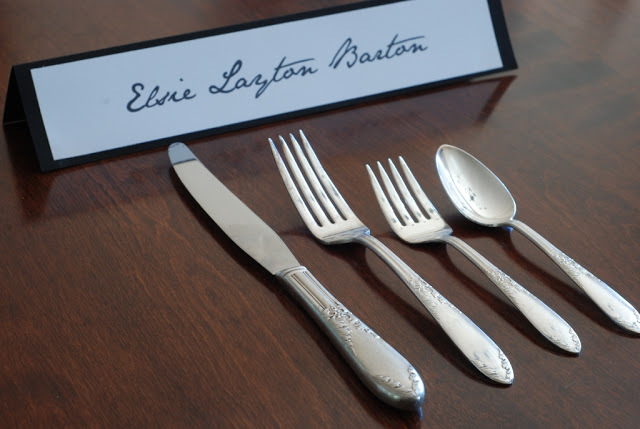 I began to ask family members if they remember what Grandma Barton’s silver looked like. I didn’t have to go too far to find out that my husband’s sister had been given the flatware chest. Once again, I asked her to send me a photo of the front and the back. This pattern was more difficult to find, but not impossible. It just took a little longer. I LOVE Ebay. 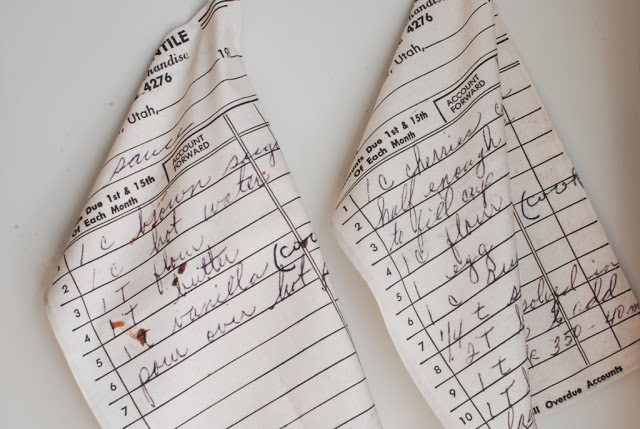 I just happened to have my grandmothers recipe box. I searched the recipes to find the perfect recipe in her handwriting. 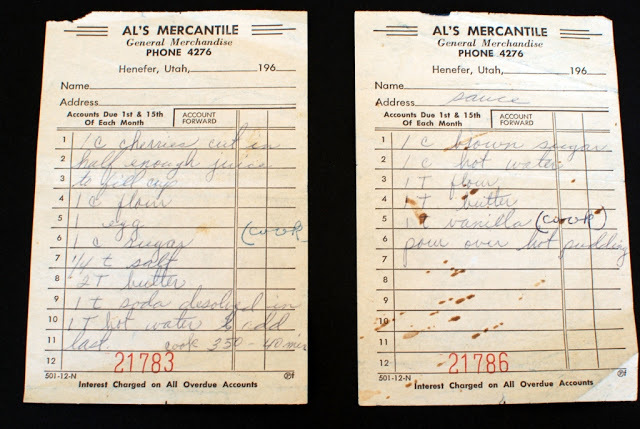 What makes this particular recipe so amazing is that it was written on a receipt pad from my Grandparents grocery store in Henefer, Utah called Al’s Merc. A double connection! I followed the directions on the link above and I made recipe tea towels for my family for Christmas gifts. I didn’t realize they were the same color as my wall. Looks like I need to repaint my kitchen walls so my tea towels will stand out more. This is my kind of Genealogy. My family now has a recipe for my grandma’s Cherry Pudding recipe WITH the sauce. How cool is that? 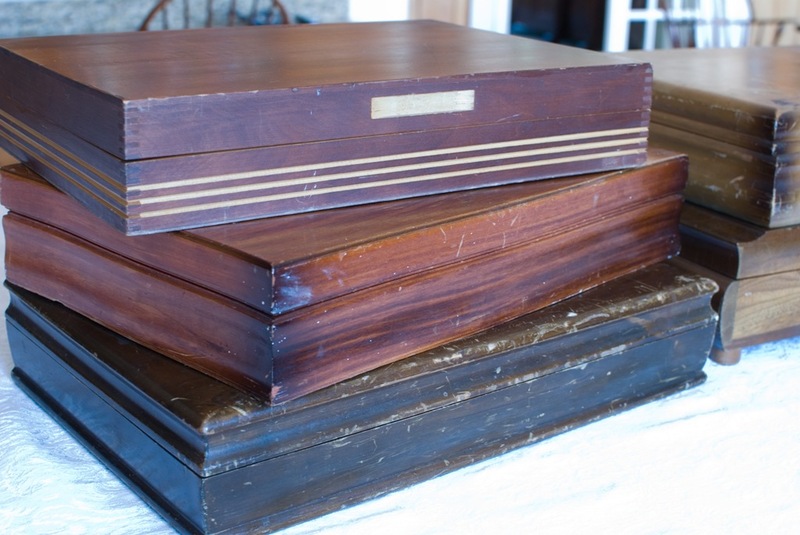 I have created a family treasure that brings my family history to life. “Turning the hearts of the children to the Fathers”. I’m so proud of my ancestry. I love the spirit felt in my home has I open each treasure chest filled with my grandmother’s silver patterns. I miss them and my collection brings them closer to me. I want to follow in their footsteps. I want to be like them – women of great faith and integrity…and great cooks. If you are interested in finding your family links, this is a great site: Familysearch.org There are Family History centers all over the world where you can get help linking your family… it’s free for such priceless information. I'm glad you liked it, Tiff. As far as the name,Jack, goes. I guess it's the first one to birth a baby boy! Ryan's rather fond of the name as well. 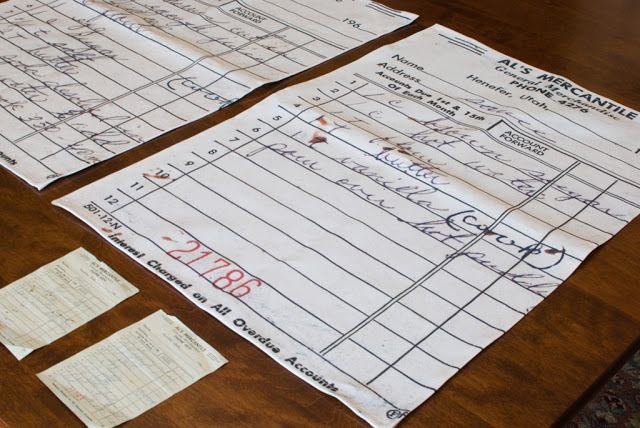 That is an amazing way to share your family history! And I LOVE the tea towels!!! I know what to do for Christmas gifts for family this year! thanks for sharing this! I decided to do the tea towels right after Thanksgiving. I received the fabric in less than a week from the day I ordered it. I thought that was amazing during such a busy time of year. Thanks for your comment. Great Post! Could you please include the pattern names to go along with their original owners? Thanks! Ms. Tree! What a wonderful idea! You do have a wonderful heritage. We are related through Cecil (my mom's side) and Stella (my dad's side). I know that Cecil was a fabulous cook and Stella was a great writer. No wonder you have such an interesting blog. Take care. Thank you, Judy. The Richins and Chappell lines, two of the greatest! This is so cool! I love the tea towels you made too. What an amazing way to bring your history forward! Thanks for your kind comment. I just love my heirlooms. 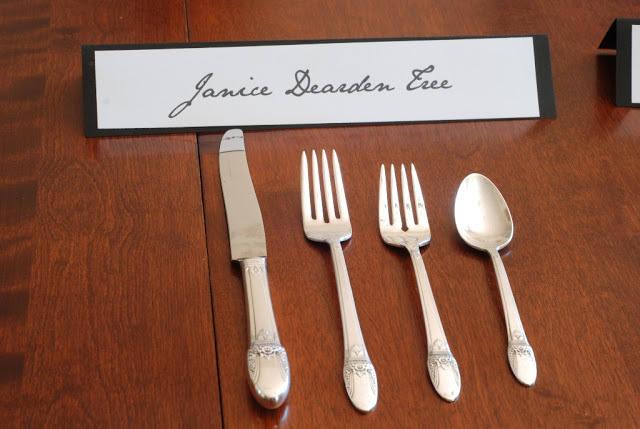 Im lucky to have my Dads mom silverplate. She died when he was 14. My grandmother(his adopted mother) gave me her china and silverware and other dishes in a hope chest when I was a kid. 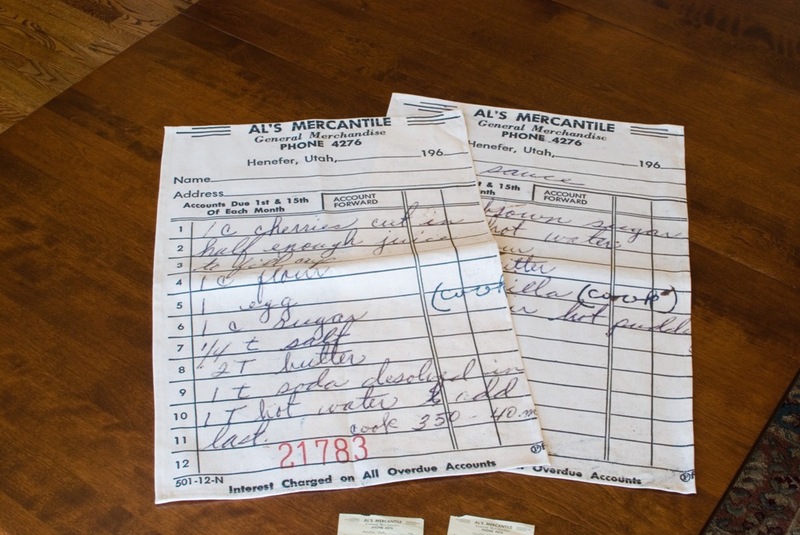 I loaned dad the china years ago because he had so few physical memories of his mom. 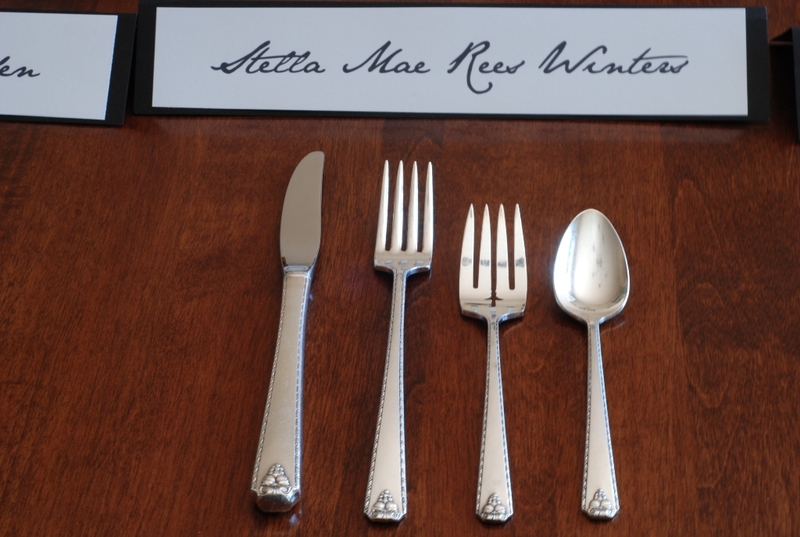 I use the silver every Christmas eve for my family dinner since I graduated from college. I cherish all my family pieces. BTW I have made windchimes, window vases, and other things with silverplate for years. My dad helps me and recenly my aunt gave us odd pieces from her mom to make windhimes for my cousins. Hi Colleen, Wow! Thank you for sharing your great story. I love it. You should send some photo's of your wind chimes and window vases. I'm sure they are just amazing. I love this post. What an awesome collection you have. LOVE IT. This is amazing mom! I love it and I can feel a connection to my ancestors. I am glad I can remember my great grandparents. I love that I share the name Rees with Emi and Grandma Winters, and I am glad passed on the name Lettie Jane. I needed a picture of your silver. We will add that to our collection as soon as you get it from storage. We have a great heritage. Rose Point. Oh my gosh! I should have pointed it out to you at the reception. My brain was all over the place that wonderful night. I'm so glad you have a connection, Tiffy will be thrilled. You can find the site in my post at Spoonflower. I keep trying to talk Tiff into designing fabric from this site and create something wonderful. Let me know if you have any difficulties finding the link.